Robometricschool. - This is one kind of programming's language that develop to help user to get dynamic programming language this time. According Wikipedia describe that Python is a widely used high-level, general-purpose, interpreted, dynamic programming language. Its design philosophy emphasizes code readability, and its syntax allows programmers to express concepts in fewer lines of code than would be possible in languages such as C++ or Java. The language provides constructs intended to enable clear programs on both a small and large scale. 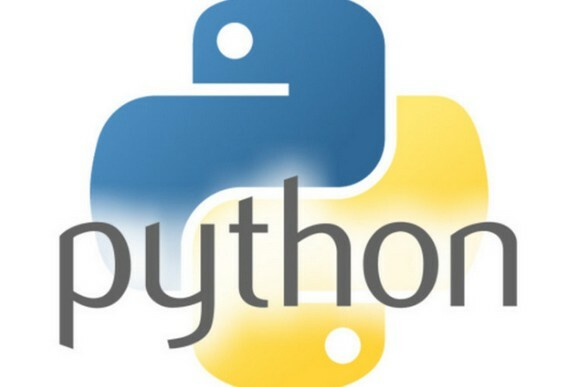 According Applied Electronic Engineering blog also describe that Python is a dynamic and interpreted programming language that is listed as top 5 programming language along side mainly Java, C, C++. It is estimated that the user base is over 1 million worldwide. So you might ask where these 1 million people are using Python. Being an easy programming language designed to be readable and compact, Python has become a general purpose programming language with unlimited roles. Python is used in virtually all domains. Software developers, Computer engineer, electronics engineer, scientist use Python to develop Operating System, Networking Programs, GUI applications and for various numeric and scientific computing. In case of hardware design prototyping, Python is used as a language for rapid prototyping. When the design is agreed upon it is then converted to C/C++ language. Python is used as programming language for robot control. It is used as programming language in Arduino board, Raspberry Pi. It is used as system program in Android and iOS. In scientific community, it is used as program for visualization of data. Web programmer or developer use Python to develop website, server side components, for database programming and other internet scripting applications. So who are examples of Python users? Google, YouTube, Dropbox, Raspberry Pi, Maya, iRobot, Intel, Cisco, Hewlett-Packard, NASA, Qualcomm, IBM are some of the big names who use Python programming language in development of their product or in their product.